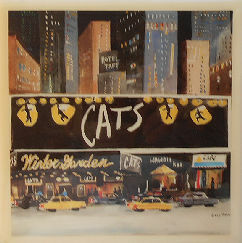 This ceramic trivet features an image of the Winter Garden Theater, the place where the musical Cats had a successful Broadway run for 18 years. The trivet is 6" square. Previously owned but in good condition.